Going to Charlotte, the Roy vs. K debate doesn’t seem close. The so-called GOAT arguments are always tinged by bias for your favorite team or sentimentality. Some people still think Joe Montana is the greatest quarterback of all time when Tom Brady now has two more Super Bowl rings. The fact that LeBron and the Lakers will miss the NBA playoffs won’t help the King’s contention against Michael Jordan’s six NBA championships. Only the most ardent Dukies can still claim that Mike Krzyzewski is the best coach in college basketball, which means he’s better than Roy Williams. Sure, Coach K has the most overall wins, surpassing 1,000 a couple of years ago and has 1125. And his five NCAA titles remains second only to UCLA’s John Wooden. But, on both shades of the blue blood ball, all the metrics have swung toward Ol’ Roy since he became Carolina’s head coach. The only stat he is not winning is 16-19 in head-to-head match-ups. That got closer with Saturday night’s win at the Smith Center, as Williams secured his ninth first-place ACC finish in the last 16 seasons compared to only three for Krzyzewski, whose teams have now gone nine years without winning the regular-season, 13 since the last time Duke won it outright. Heading into the post-season, Duke holds the edge in ACC tournament championships, 6-3, over Carolina since 2004, although the Tar Heels have been in more championship games, 8-7. Final Fours in the last 15 years: Roy 5, K 3. National championships since 2004: Roy 3, K 2. 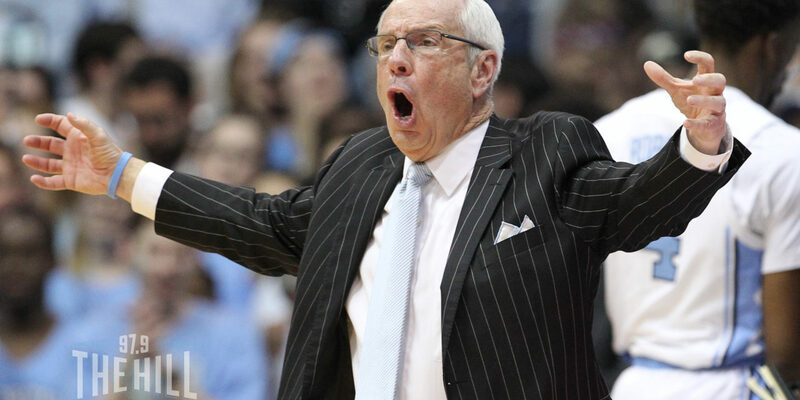 Overall NCAA tournament record: Roy 43-11 in 14 trips to the Big Dance, K 34-13 in 15. Williams has yet to lose his first game in the post-season, while K’s team were one-and-done three times (2007 to VCU, 2012 to Lehigh and 2014 to Mercer). Here’s the one I like the best: nine times in the last 16 years, Carolina and Duke have played in the regular-season finale with first place — or a share of it — at stake. That record is 9-0 in favor of Williams and his Tar Heels. So where’s the debate? Neither coach may be the Greatest of ALL Time (which still goes to Wooden). But Roy is greatest of THIS Time, don’t you think? Five of those head to had losses by 7 points (5 points in regulation). Also, since Roy is back 8 Elite 8s to 5 (and that’s spotting K his Final 4 appearance in 2004, when Roy was just inheriting Doherty’s mess, although to be fair with good young players Doherty recruited). These things ebb and flow. Even in K’s greatest era included, since ’91 its 12 FFs and 4 titles for UNC and 8 FFs and 5 titles for K. A Kris Jenkins jumper from UNC probably being in the lead there, same titles, 4 extra FFs). Going back to K’s first year, it’s 14 FFs and 5 titles for UNC to 12 FFs and 5 titles for Duke. And sure he spotted Smith a lead with Dean making a finals and winning a title K’s first 2 years. But K didn’t inherit chopped liver. They had been to the Elite 8 and ranked number 1 at one point the year before he got there. Ranked number 1 at one point in ’79, too. And made finals in ’78, 3 years prior. You can go back to Bubas and Smith alternating in the ’60s. But for Duke’s fallow period in the mid’70s 9and near misses in the late ’60s), it’s been 60 years+ toe to toe. But Roy has been a bit better in the Roy/UNC era.